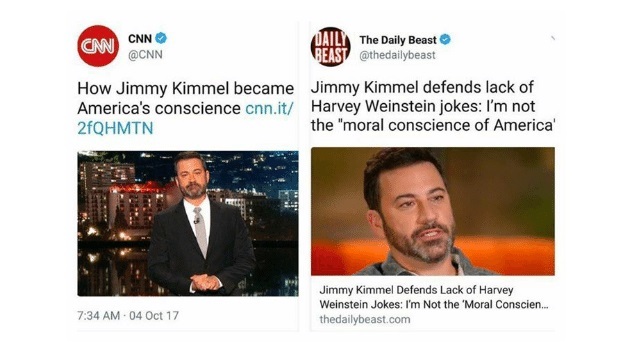 Jimmy Kimmel is not afraid to speak truth to power -- unless the power is the perverts running his own industry -- in which case he'll ignore all their wrongdoings and actively cover it all up. Jimmy Kimmel is worried about striking "the right tone" as host of the Oscars this Sunday. The late-night host and returning Academy Awards emcee told Good Morning America's Paula Faris Tuesday that he likely won't tackle Hollywood's widespread sexual misconduct scandal from the stage during Sunday night's show, preferring instead to make people laugh. "This show is not about reliving people's sexual assaults," Kimmel said.�"It's an awards show for people who have been dreaming about maybe winning an Oscar for their whole lives. And the last thing I want to do is ruin that for someone who is nominated for, you know, best leading actress or best supporting or best director or cinematographer or whatever, by making it unpleasant." "I'm not going to stop any bad behavior with my jokes," he added. Interesting statement considering he spends every show attacking Trump for his "bad behavior" with the stated goal of getting Democrats elected. 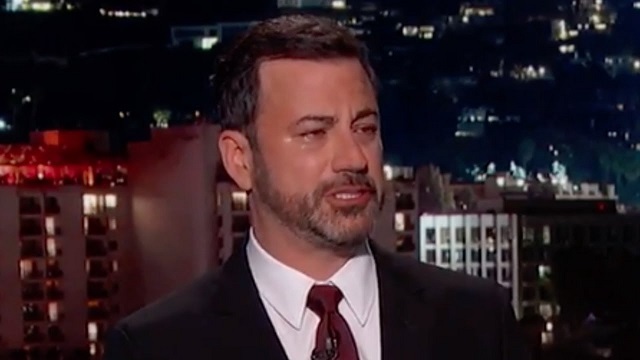 Though Kimmel doesn't want to "ruin" the Oscars by talking about MeTooism, he had no problem ruining his own late night comedy show by crying every episode about how mean, evil Donald Trump wants children to die and takes pleasure in their suffering.